The New Mexico Watercolor Society, Southern Chapter invites you to share their interpretations of how Wheels & Wings have influenced New Mexico. Thirteen artists have created sixteen watercolor paintings depicting their visions. 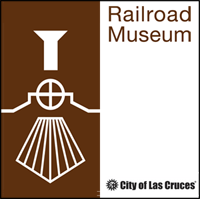 These will be on display at the Las Cruces Railroad Museum during For the Love of Art Month in February 2015. Various forms of transportation have all influenced and changed the population and the landscape of our state. Our land and her people have embraced these changes, from foot power to horses to wagons to cars to rockets, and have grown stronger in the process. Join us in our celebration of Wheels & Wings: Tracing Our Heritage. The museum is open Thursday—Saturday, 9 am to 4:30 pm.